By Katie Behrens. Jul 1, 2015. 9:00 AM. Like her contemporary George Eliot, George Sand was, in fact, a woman writing under a male pseudonym. During her prolific career as a writer, Sand penned novels and plays featuring rustic French landscapes and strong, feminist protagonists. 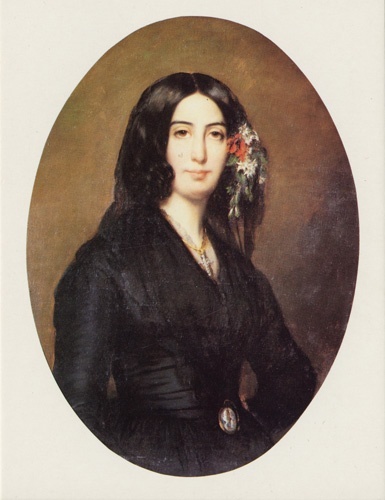 In many ways ahead of her time, George Sand attacked life with a vivacity and brusqueness that made her both a disgrace to proper society and the fascination of those inside it. Born Amantine-Lucile-Aurore Dupin in 1804, the girl who would become George Sand inherited a complex lineage. Her father Maurice was descended from a line of kings (illegitimacy was also a factor), and her mother was of common birth. When she was only four years old, Sand’s father fell from a horse and died. She was taken in by her paternal grandmother to her estate in Nohant, France. Although she was a naturally curious child, her education was inconsistent and tailored to her own interests. When she was fourteen years old, Sand was sent to a convent where she developed a great love of mysticism. Her grandmother soon pulled her out of the religious environment, possibly out of fear towards fanaticism in one so young. Sand spent the rest of her adolescence in Nohant, inheriting the estate when her grandmother passed away. In 1822, Sand married Casimir Dudevant, himself the illegitimate son of a baron and a servant girl. She bore two children, Maurice and Solange, during their early years together. However, after nine years of marriage, Sand tired of her husband’s coarse manners and alcohol abuse. She left for Paris in 1831, taking her daughter Solange with her. It’s unclear which came first – her affair with Jules Sandeau or their writing collaboration – but it was from this first relationship that Sand took her pen name. She was a tireless writer, sometimes working for more than twelve hours a day. 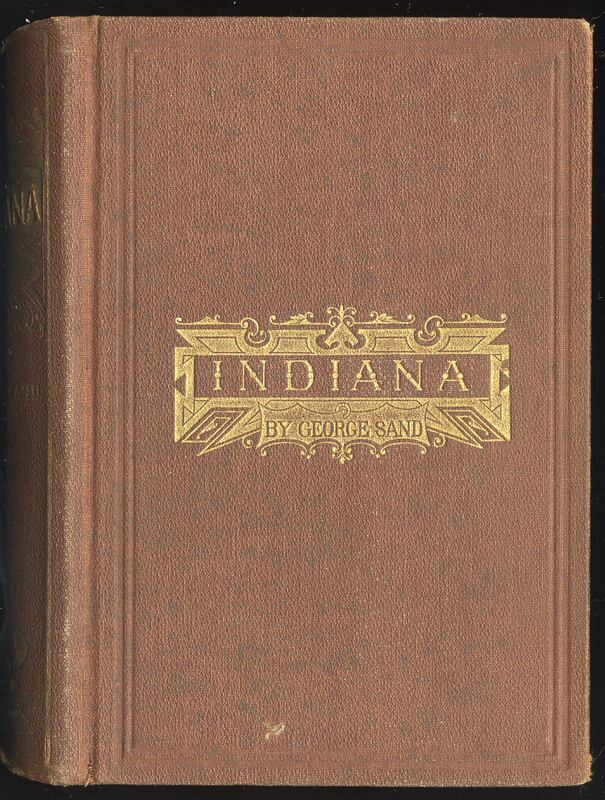 Her first independent novel, Indiana, was published in 1832, followed quickly by Valentine. Both stories focus on unhappily married women who seek love elsewhere. Her work was well received, if a bit controversial. It was during this time in Paris that Sand developed her unique lifestyle; namely, wearing men’s clothing and smoking tobacco in public. Her list of lovers was growing as well. After her affair with Sandeau came to an end, she took up with the young poet Alfred de Musset. But perhaps Sand’s most noteworthy affair was with the Polish composer Frederic Chopin. She officially separated from her husband in the midst of her Bohemian life, which only added to her scandalous reputation. Sand produced an incredible amount of literature in her lifetime: over fifty novels, plays, and other works. She was always progressive in her views, yet as time went on, she began to return to more pastoral themes. Her heart was always with the French countryside and the struggles of the common man and woman. She spent more time at her estate in Nohant in her elder years, which is where she passed away in 1876 at the age of 71.